She says it's a chance to expand an already varied career as a researcher, editorial writer, columnist, TV talk show host, lobbyist and politician. 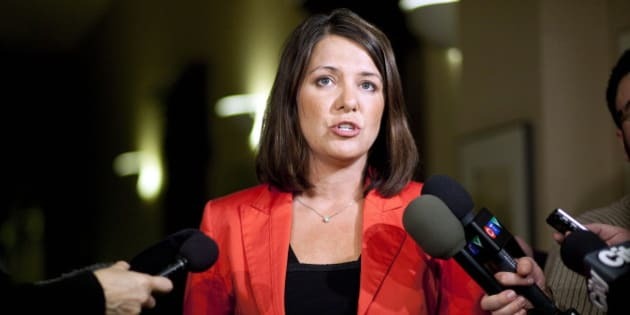 CALGARY - Former Wildrose leader Danielle Smith is switching back to the other side of the microphone. The one-time head of Alberta's official Opposition is to be a guest host on Calgary radio station CHQR's afternoon talk show. She says her two-week stint begins on Monday. Smith says it's a chance to expand an already varied career as a researcher, editorial writer, columnist, TV talk show host, lobbyist and politician. Some of the things she says she'd like to discuss are the role of the political right, the future of the energy sector and Hollywood gossip. Smith took eight of her Wildrose caucus colleagues with her when she crossed the floor of the legislature to sit with the then-Progressive Conservative government late last year. There was vocal criticism of the move from party supporters and she lost her bid to be the Tory candidate in her home riding of Highwood in the recent provincial election. "Obviously, my stretch in the public arena is well known," she writes in a blog. "But most of my career I have been a public policy analyst and political commentator." Smith describes herself as a "libertarian advancing ideas of free enterprise, limited government and individual liberty."